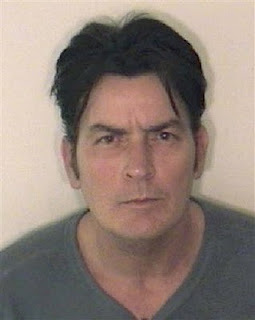 America’s obsession with Charlie Sheen’s apparent mental breakdown is as sick as the actor himself. It’s time for the nation to take a look at itself. The fascination with his demons reveals an unsavoury prurience. By continuing to ridicule a man who needs psychiatric help, journalists, talk show hosts, stand up comedians and the rest demean them. They are admittedly feeding the public’s unhealthy appetite for his salacious escapades. The 2.3 million followers Sheen attracted since he joined Twitter at the beginning of the month are akin to rubberneckers at a traffic accident. Perhaps you need the distance of the Atlantic to get a sense of perspective to see that enough is enough. With his track record of misbehaviour, it is a wonder Sheen was able to hold down his Two and a Half Men role as long as he did. The blind eye CBS and Warner Bros. turned to his misconduct, while the bucks rolled in was central to the show’s current mess. Sheen needed help sooner – and the sack if he couldn’t or wouldn’t reform. In the UK drink and drug addiction and cavorting with hookers may not destroy a showbiz reputation irretrievably as it once would. But however big a male star the hint they had even once been violent towards women would rightly set their career back years if not kill it stone dead. They couldn’t expect – or be allowed - to continue to lead a top TV comedy show. Celebrtiy meltdown in the US only seeks to fuel the tabloid appetite and in turn enhance the subjects profile / celebrity status. Think Britney Spears, Mel Gibson to name but a few. Sheen is a slighty different example in that he is self publicizing his meltdown but this will only set the bar for his peers to follow - and for the viewing public to relish. However sadistic, there is going to be no end to this type of occurence in the US anytime soon - only more. Note Reuters below.. Yes GC. [Jaffa] agrees with your contributor above. Part of the Western media needs to get a grip on itself. It is becoming increasingly obsessed with the frivolous. There is a real world out there and many in it are dying needlessly at the hands of others. The media's modern concern should be in trying to change the human condition away from war and from serious human selfishness. It may find that if it continues with frivolity it will not survive. Frivolity is the domain of the internet. As I said the media needs to up its game and find its serious niche. Meanwhile the largest earthquake to in 140 years has just hit Japan. [See what I mean?]/Jaffa. Grapefruitcrazy, regarding your rather 'tart' reply to "Jaffa"'s comments above, I am sure that, as a seasoned ex-journalist, you would accept that so much of the mass media's output is mere propaganda. Thus that propaganda would be better employed in such honourable endeavours as trying to change human nature for the better, rather than in continual reflex actions in detailing the vagaries of some erstwhile celebrity, such as Charlie Sheen. Moreover if as you suggest, the agenda is mere survival, then again it would be better employed in giving its paying customers what they want, rather than what it [the media] has decided what they want. There is no harm in trying to raise the bar rather than setting the status quo and then pandering to it. Yours MC. OK. GC. But the greatest recent propaganda coup in came from untruths from the USA and UK governments given as reasons for going to war in Iraq. And the media on both sides readily went along with it, uncrtically, in the first place in assisting the government propaganda line. In that way, yes, it was indistinguishable from North Korea. And again it [the media] look like making similar errors viz, Libya. MC. OK GC. But Iraq involved the highest call a country can make on its citizens, ie sending "our boys" to war, possibly to die. MC.